POSTS Cycling Vs. Treadmill: Which One’s Best For You? Are you having trouble picking between cycling outdoors and using a treadmill? Maybe you’re considering doing both? Personally, the treadmill provides me with everything I need for an effective workout. I prefer treadmills because they give me more options (well, the good ones do at least!). I recommend the Proform ZT10. 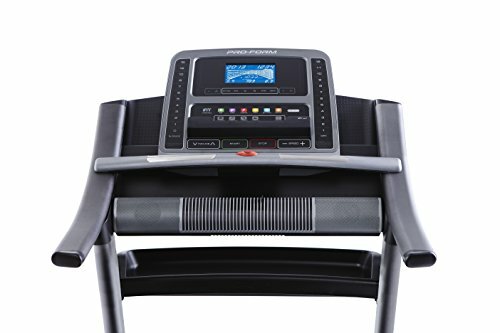 It’s equipped with tons of workout programs, decline and incline settings, and is easy to fold away for storage. Having said that, I do also enjoy cycling outdoors too. In which case, the Huffy Fortress 3.0 is my top choice. 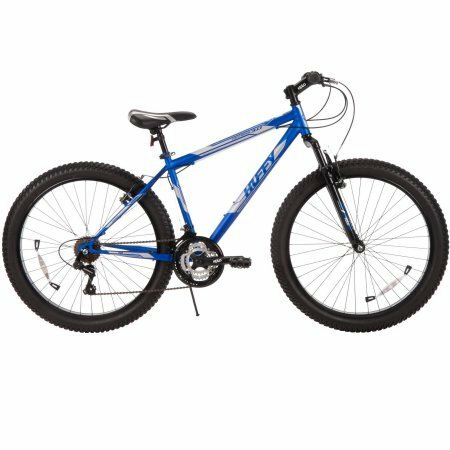 It’s great for mountain biking in particular. Learn all you need to know about cycling and using treadmills below to help you decide which is right for you. 3.1 What Provides Better Exercise Results? 3.3 Which is Best for Low Impact Workouts? 3.4 Which is the Safest Option? 4 Should You Cycle or Use a Treadmill? One of the biggest benefits to using a treadmill is that you can workout from home. If you’re tight for time, rolling out a folding treadmill and easily putting it back into storage can take mere minutes. The ease of use associated with treadmills is what makes them so appealing to so many people. A common complaint among people who have used treadmills is that it’s too boring. However, if you were to set up your phone or tablet, you’ll find time flies. You can watch your favorite shows and movies while working out. For me, this is one of the major reasons why I love using a treadmill. I can do moderately intense workouts, while being engrossed in movies and series – an hour on the treadmill feels like nothing! 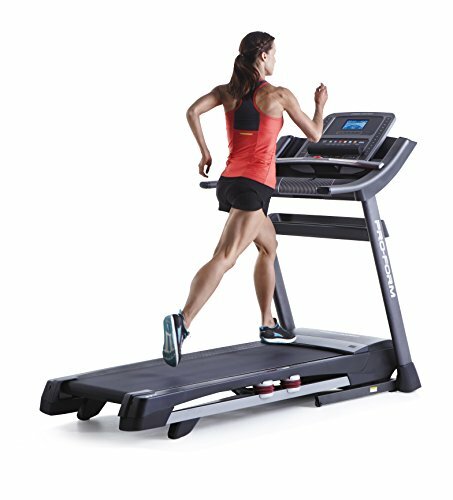 Treadmills that let you alter the incline and speed settings provide you with more options. Therefore, you’re able to tailor the workout to your specific goals. You can alter how difficult or easy you’d like it to be, depending on your experience level. Furthermore, making the workout more challenging can simply involve not holding onto the side rails. This leads to more muscles being recruited and your core is engaged to keep yourself balanced. There are many benefits of strengthening your core too. While I am a big advocate for treadmills, I must be fair – they aren’t perfect for everyone. 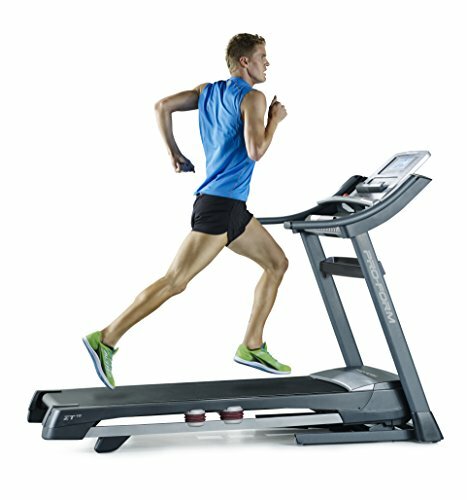 Treadmills may not be the best option for serious runners. This is because many of the ones that are used for homes have a maximum speed of 12 mph – which isn’t enough for runners. Of course, the biggest benefit with cycling is the exercise. People often consider cycling to predominantly involve the legs. However, your entire body is involved throughout the activity. Even though your legs are doing the pedalling, you’re also heavily relying on your arms to keep yourself balanced. Holding onto the handles and maintaining your position takes more work than you may think. Cycling is a form of exercise that improves your cardiovascular system. As a result, you can become fitter, and be burning more calories to lose weight too. Getting from A to B in cities can become an energy-draining and lengthy task. Sitting in traffic on the way home from work means that’s your free time being wasted. Not to mention, many people wake up earlier just to prepare and be on time for work. Cycling means you can cut this hectic part of your life out. Commuting on a bicycle saves time and energizes your body with a heart-pumping start to the day. I also like how cycling is an environmentally friendly way of travelling. You produce zero carbon emissions and avoid burning fuel in congestion. Studies show that your exposure to harmful fumes is also reduced compared to people who travel by car. Regardless of your experience level in fitness, anyone can hop on a bike. You’re able to go as slow or as fast as you like. Furthermore, the impact on joints is remarkably low. Therefore, if you have bad knees, cycling may be a good option to get fit while minimising the risk of injuries. Exercising alone can demotivate many people. Cycling gives you the option to go on rides with friends and family to experience it together. This can help to make you excited for exercising by going on fun rides. Not to mention, you can easily create a cycle group of strangers who are all into the same activity. Bicycle groups seem to be pretty friendly to one another! Simply put, cycling can be a lot of fun. Especially if you partake in mountain biking along various trails. It can make you forget that you’re even exercising. As a result, you’re more likely to enjoy doing it more often and notice better fitness and weight loss outcomes. Cycling on the road with other cars can be dangerous. So, you have to remain hyper vigilante at all times and ensure that you’re wearing a helmet to keep yourself safe. Now you know more about what using a treadmill and cycling have to offer. So, which one should you be using? I found this to be a tough conclusion to come to, because it really does depend on the individual. However, to help make your choice easier, the section below is going to compare cycling and using a treadmill. You’ll then be left with a clearer picture of each to consider their main benefits and drawbacks. What Provides Better Exercise Results? Exercise is likely the number one thing people are looking to improve with riding bicycles and using treadmills. In this case, it’s a tie. They’re both great for exercise. Although, for people with less time and who want a more convenient way to workout, using a treadmill from home would be best. On the other hand, people who have a little more time to spare may enjoy the outdoors aspect of exercising more. One downfall of cycling compared to using a treadmill for me, is that you can’t see your stats. Well, not unless you’re willing to spend extra on tech. With treadmills, you’re given information on your time, distance, calories, and heart rate. This gives you the chance to see the areas where you need to improve more clearly than you can while cycling. Undoubtedly, cycling provides a better chance of socializing and having fun compared to using a treadmill. Many find being on a treadmill becomes isolating and boring. In which case, cycling is the clear winner there. However, if you like exercise to be your alone time, a treadmill could be perfect. Like I mentioned earlier, I love setting up my phone and watching a series for an hour while I workout. It makes the time go by so much quicker. Which is Best for Low Impact Workouts? Cycling and using a treadmill are both great options for people who are concerned about their bad joints. They are both low impact forms of exercise. Therefore, you’re able to pedal on bicycle without putting a lot of pressure on the knees. With treadmills, you can walk/jog/run on the surface of a with minimal effects on your joints. Its softer than concrete ground. 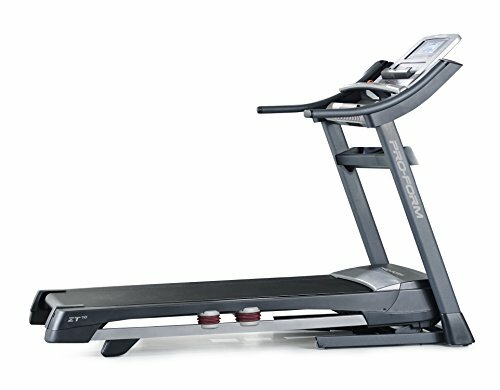 You may be surprised to hear that there are over 24,000 accidents a year related to treadmills. However, the higher risk of danger comes with cycling. Especially if you’re on the road with other cars. When it comes to cycling, being extremely aware of your surroundings is crucial. While being on the treadmill, it can also be easy to forget to concentrate, and that’s where you can end up having an accident. In both cases, the dangers can be minimized. Most are able to experience both completely safely, provided that they remain aware and focused. Should You Cycle or Use a Treadmill? There are certain benefits with cycling that you just don’t get from using a treadmill. The major ones involve being outdoors and being able to commute in a healthier, environmentally friendly way. People interested in reducing their carbon footprint and having a more social exercise experience would be more inclined to cycle. Having said that, there are also advantages to using a treadmill that you can’t experience with cycling. The main one being ease of use. After a long day of work, being able to conveniently roll out a treadmill and fit my workout in is bliss. I’m also able to keep a better track of my progress by the stats provided. So, I can go in with a goal each time to either go for longer, faster, and to burn more calories. At the end of the day, whether you cycle or run on a treadmill, you’re still exercising. That alone puts you ahead of most. However, there are definitely certain people who can benefit more from one than the other. For example, people who are busier and need a quick, convenient way to workout from their home would prefer a treadmill. The Proform ZT10 is my top choice in that scenario. Alternatively, others may want to exercise with friends and family. In which case, cycling can be more social and fun, which is a huge motivation for many. For those purposes, I recommend the Huffy Fortress 3.0. There are also those who can benefit from both, and that’s the camp I’m in. Personally, I incorporate cycling into my routine, but the treadmill is my first pick more often. It all comes down to personal preference. Use the information that I’ve provided for you throughout this article. You will have a much easier time determining whether to go with cycling or a treadmill – or maybe both!